Here in Chicago it’s that time of year again when Farmers’ Markets start popping up all over the city. When growing season kicks in, people gravitate to locally-grown and made foods in search of what they believe is better quality, freshness, flavor and a chance at chatting with the producer. According to the “Firmly Rooted” local food movement study by A.T. Kearney, local product assortment at food retail is no longer a nice-to-have. It’s now a competitive advantage. Why? Because shoppers increasingly value it, will pay more for it, and it’s a driver not only of purchase but also store visits. Kearney reports that local was a $12 billion business in 2014, with an annual growth forecast of 9 percent a year through 2018. 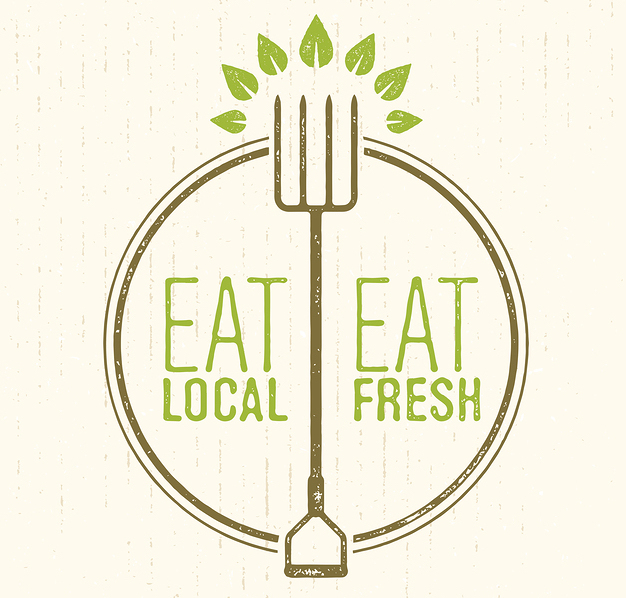 If anything the local movement is accelerating as fresher becomes a significant factor in consumer preference. 96 percent of respondents define local as produced within a 100-mile radius. While various classes of food retail may expand this to anywhere from 400 miles to statewide. Of note, consumers believe the circle is tighter. 93 percent associate local with fresher, a primary purchase driver. 78 percent are willing to pay a price premium for local of anywhere from 10 percent more to upwards of 21 percent (local eggs) in certain categories. 63 percent say they believe retailers are starting to offer wider assortments of locally-produced products, including prepared and packaged foods. 71 percent say by offering local products, retailers are doing more to support small businesses and help the local economy. What’s standing in the way of buying more locally-produced items? Shoppers say they don’t know where those products are in the store due to inconsistent signage and lack of cohesive display. Merchandising and marketing need to catch up. 63 percent say they will visit a retailer if notified about in-season, in-stock products. Doing so will require an investment in social and digital marketing to get the word out. More importantly, this helps shed light on a cultural shift now influencing retail best practices. In the past, a food store existed primarily to drive transactions. Traditional metric analyses of sales and profit per square foot and average transaction/basket size would certainly attest to that. While these remain important assessments of performance, is it the only measure that should be applied? As food retail evolves we can expect to see disintermediation of shippable commodities that will increasingly go online, while food and culinary experience becomes a bigger business and priority. Reimagined food retail must work harder at creating an immersive food experience, bringing the farm and flavor adventure to the store. Yes, even some fresh products may migrate to e-commerce and delivery. However, we believe there is a significant segment of the market that prefers the tactile, visual, emotional and sensory-satisfying familiarity of hands-on food experiences. Measurement and profit models will evolve with this change as stores further invest in perimeter businesses, commissaries and locally-sourced products. Food is an emotional category. This sensory appeal can be harnessed to great effect by retailers who understand the era of selling boxes, cans and bags at velocity is narrowing in favor of real, fresh and prepared food options. Those still trying to compete on price will increasingly face a “race-to-the-bottom” challenge with the arrival of low-price specialist Lidl, and the battle between Amazon and Walmart to leverage scale for difficult-to-match efficiencies. Experience is the new battleground, and content is the marketing play to tell the powerful and valued stories of local sources, supply chain transparency, ingredient integrity, culinary inspiration and FRESH. Is Supermarket Prepared Food Ready for Prime Time? Being the home chef and lifelong fan of all things culinary, I find myself in the supermarket regularly. I LOVE IT. This is my favorite form of retail, where need and personal passion will drive behavior. That said, it can also be one of the more all-too frequently disappointing destinations due to the same old, same old aspects of what’s found inside the front door. I love it enough that when traveling I try to get to the local food emporium just for a look-see in my ongoing fascination with everything grocery. Food is an adventure and I’m a journeyman explorer. So, in my neighborhood in Chicago, I gravitate to the higher-end options including Mariano’s nearby, Treasure Island is also close and an array of specialists from VIN for wine, Dirk’s for fish and Gephardt’s for butcher. Even with my lean towards better retail banners, I still find supermarket prepared foods and Deli to be often uninspired. A recent report entitled, “The Power of Fresh/Prepared Deli,” from the Food Marketing Institute revealed that only 12 percent of shoppers are regular Deli visitors across all banners and channels. That’s leaving a lot of business on the (hot) table! In parallel, we have increasing evidence that time-strapped consumers, especially of the Millennial variety, are hungry for more home cooked meals, if only they could get some help with side dishes, partially prepped options (meal kits) and general inspiration (easy-to-do but interesting recipes). What’s wrong with this picture? A clear and present need followed by a retail opportunity disconnect. Well, I tend to side with consumer preference on this one. Let’s see, over here at the hot table what do we find? Hmmm…something that looks strangely like high school cafeteria food (apologies to cafeterias that work hard with limited resources and funding). Yes, we have fried chicken probably now entering its especially dried out leather phase, meatloaf (again), mac and cheese (also again), grey green bean casserole (also too much time under the heat lamp) and some scary-looking starches. In the nearby case we have five varieties of macaroni salad and similar options of potato salad, green bean salad, maybe even Jello® salad. Salad bars are their own unique fantasy food experience where the word wilted is an active verb. We have shoppers pining for new meal solutions, looking to outsource some or all of their cooking to grocery – that’s missing the bar on prepared foods beyond traditional comfort fare. If the objective is to lift Deli visits from 12 percent of shoppers to where it should be around 80 percent, what’s the answer? If a restaurant served this over-cooked lineup would it still be in business? Probably not. Taste expectations and culinary knowledge is advancing at break-neck pace as everything from food truck to C-store works to improve their fresh offerings. Consumers can tell the difference between good cooking and bad, chef-inspired and pedestrian, so the expectation keeps going up. This just opens the competitive door wider to subscription meal kit companies who begin with higher standards on ingredient quality and innovative menus. You simply can’t advance on the culinary continuum if your business strategy is first focused solely on moving boxes, cans and bags off shelves (we know center store business matters to the bottom line but it shouldn’t be the sole agenda). Balance sheet issues and velocity will be the primary business model, unless the management team falls in love with food and food experiences. Whichever it is, everyone else on the staff will follow suit. Who’s in the commissary kitchen? 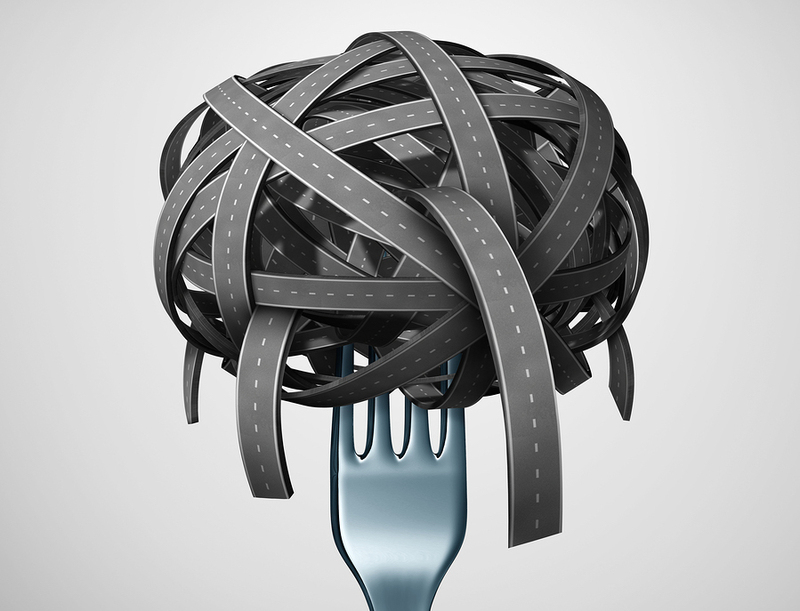 Is there a Chief Culinary Officer reporting directly to the C-suite? Is delivering on food adventure a dominant factor in weighing success in terms of shopper experience and menu? When food culture changes it is imperative to change with it. Better Deli performance will follow if better, more interesting, and dare I say more exciting food is offered. Ingredient quality is already on the upswing in a big way. Kitchen talent and management just need to get behind the incredible cost advantage that supermarkets enjoy over foodservice and decide, once and for all, that their Deli prepared foods are going to be on par with a restaurant experience. Just go ask Wegman’s about how that’s working. I, for one, will be there cart in hand, ready to buy. Become a resource about food, or be relegated to a source of product supply. Many years ago when I lived in Seattle, I had a near-religious experience at a restaurant on Capitol Hill where I had just wrapped up a client lunch meeting. I ordered coffee at the close of the meal and when I tasted it, my jaw nearly dropped to the floor over the rich, deep flavor. Hints of dark chocolate, beef roast, spice and earthiness filled my mouth. I had never encountered anything like it before – coffee being a bit of a meal-end ritual and nothing to write home about taste wise, I wasn’t expecting anything special. I discovered the restaurant had switched suppliers and was now ordering from a coffee bean purveyor in the Pike Place Market – yes, it was Starbucks (before it became ubiquitous). I heard word about this place, but had never investigated. That weekend, I made a beeline for the store on Saturday morning – my intent to purchase the same coffee beans I had at the restaurant. What I encountered there was truly remarkable and remains indelibly imprinted in my brain. This may be partially why I remain a devoted Starbucks bean buyer to this day. I told the counterman (baristas came later) my story and he gave me this knowing smile and launched into a detailed and fascinating tutorial: the beans, their origin, the tasting notes, the growing region characteristics, how they are roasted. Then, he went on to the steps of making a perfect cup of coffee. We tasted, we talked – he made an effort to teach me a bit of what he knew. I walked out of there with beans, grinder and a wealth of new knowledge and appreciation that coffee might be more like wine than, well, coffee. He probably did not know he helped create a lifelong customer but that’s what was going on. Today, we see a resurgence of food and beverage specialists from fishmongers to butchers to farmers’ markets, where backstories and details behind the products are shared, along with tips related to preparation and serving. The economics of food retail may have favored stores as product supply aggregators for decades. But the food world is changing in response to cultural shifts among consumers, whose tastes and interest in all things culinary continue to become more sophisticated. The butcher at your local supermarket can be an order taker who wraps or a storyteller who raps. There’s a small butcher shop near our weekend home in a rural area of southwest Michigan. The place is small but the quality is over the top. The owners, a father and son team, always begin with conversations about what they’ve tried lately just to whet your appetite, and once you get into selecting a cut of meat, the stories behind the sources, animal care and feeding begin in earnest. Along with your selection you’ll also get preparation ideas, cooking hints and seasoning tips, maybe even a wine recommendation. Every visit is special because you learn something and the experience matches the quality of the protein. Prices by the way are in line with other grocery stores in the area. Gone are the days when competition is based solely on location, price and assortment. Retailers have an extraordinary opportunity to approach the customer relationship in a new way as educator, guide and coach. While time remains a challenge, people are headed back into the kitchen where they can control and customize food preparation. They’re looking for ideas and timesaving advice. Food retail can be a temple to food experience or four-walled pantry. Experience now matters as much as the products themselves. Unique taste experiences and curated menu guidance are sought after and stores can step in to help make it happen. 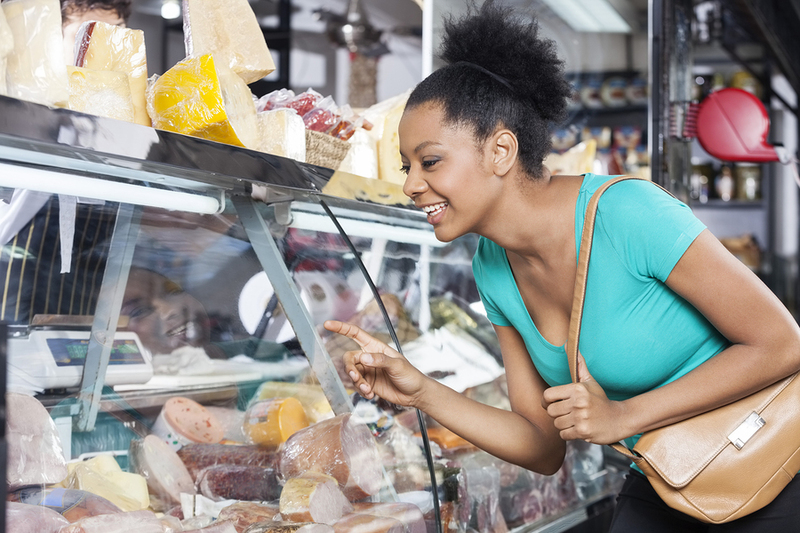 Customer contact areas of food retail are an opportunity waiting to happen. Butcher shop, cheese shop, wine department, produce area, bakery, Deli – all are places where experience can match or even exceed the product quality. Is it possible for supermarket staff to be trained beyond stocking and cashiering? Can there be a true love of food, so much so the shopper encounters a food-passionate employee in the aisles? What is food about anyway? It’s a culinary adventure. Retailers who see themselves as facilitators and enablers of this journey have an opportunity to jump the perceptual barriers and engender a new kind of customer loyalty. A loyalty based on a personal retail experience enhanced by culinary guidance and customer service – going way beyond the product assortment. With high staff turnover rates in most retail channels, how can you make the investment in training? It starts with a strategic mission and understanding about what kind of retail experience you’re trying to create. So what’s the incentive to up your game? Commoditization is an insidious threat to every retail business, pushing in unrelenting fashion towards some combination of real estate gaming and price war as all things become more or less equal. The milquetoast middle is no place to be anymore. 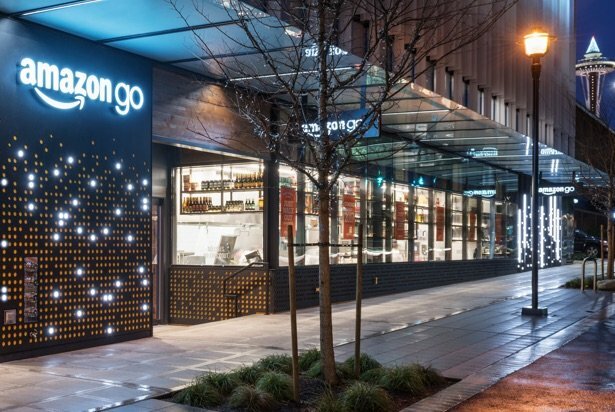 We believe there is an enormous opportunity for food retail to insert moments of engagement into the store and in doing so, create a form of surprise and delight that transforms the emotional connection between the banner and customer. Yes, training is required but the outcome and strengthening of the retail brand value proposition are well worth the investment. Not only in changing the paradigm of the shopping experience, but to begin creating the kind of work atmosphere that makes it more than a pay check for the employees. What happened at Starbucks was an outcome of training and mission, which showed up in the passion, enthusiasm and knowledge of the counter associate and what he brought to an otherwise commodity type product. The choice is here: become a coach, guide and resource, or remain a source of supply. Supermarkets: Can the True Meaning of Food Drive Business Growth? 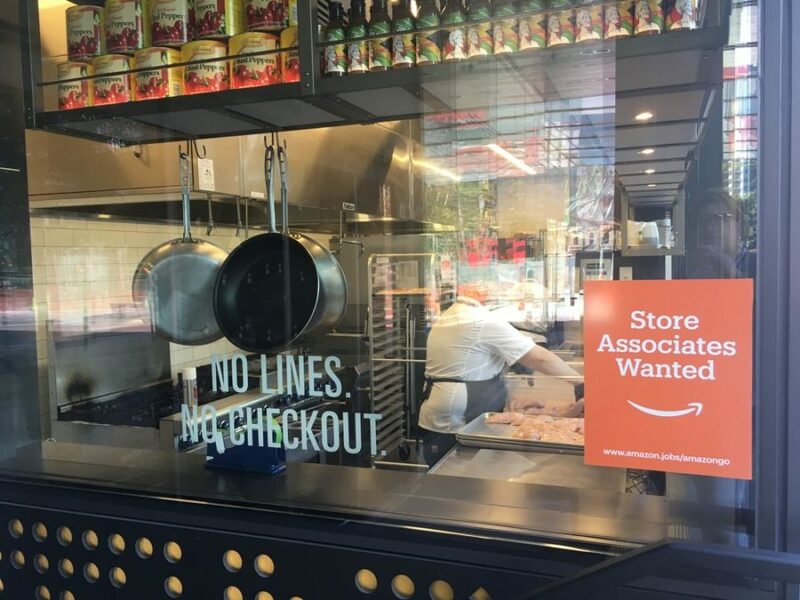 Imagine a grocery retail business that fully understands and embraces this thinking, then translates that down to the store aisles in how the business is organized to operate in service of the experiences and outcomes people associate with food.